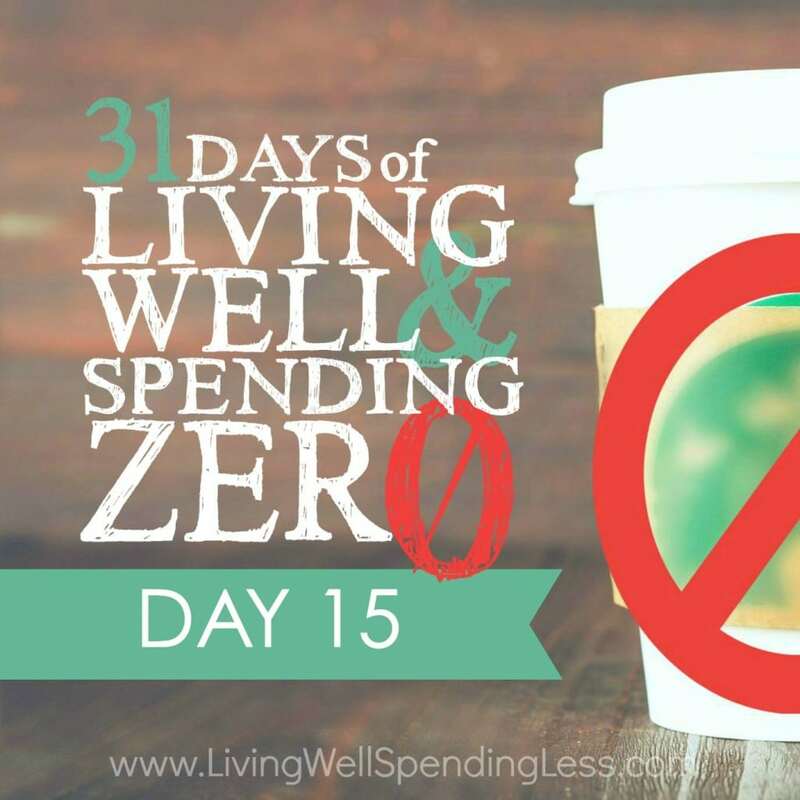 This is the fifteenth day of our 31 Days of Living Well & Spending Zero challenge. Start with Day One here. Welcome to Week 3! I’m willing to bet that after all that cooking, cleaning, and organizing you are more than ready to have some fun! Well, me too! And guess what? This week is going to be fun! (For free, of course.) The next few days are going to be all about flexing your creativity and repurposing all kinds of items using only what you have on hand. So often when there’s a problem, we try to buy the solution—when really, with just a little elbow grease or creative thinking, the answer is already near. Even if you aren’t “crafty” per se, I have some pretty easy projects in store that will fit your taste and get your creative juices flowing . And today, we are starting with our clothes! Once your closets are organized, there are quite a few things you can make and do with your leftover items. Now I know most of your clothes are ready for consignment and Goodwill, but why not poke through the list at the end of this chapter and see if there are one or two treasures that you can create, just for fun? I, for one, am not a huge sewer. Most of my sewing projects fall in the beginner-to-easy range, and I pretty much refuse to use a pattern. But you know what? I really enjoy sewing in small doses. 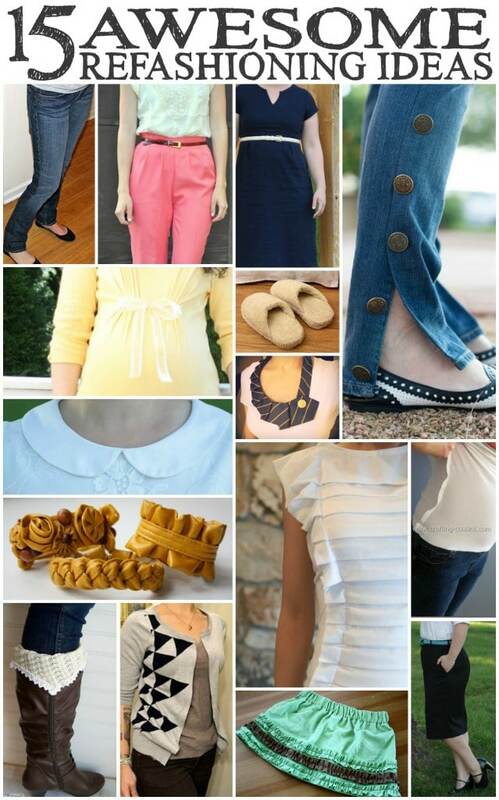 When I started to search the web for ways to repurpose clothing, I couldn’t wait to try some of these great ideas I found. I literally did a happy dance! The idea behind refashioning clothes is pretty simple. With just a few alterations and modifications your old clothes can become new and exciting again! If you’re sick of a shirt, try cutting off the sleeves. If your husband is done with his button-down, try making it into a dress for your daughter, or if you have a surplus of t-shirts, try making one into a shopping tote. Not only are you giving old items new life, but you can even turn them into gifts and save bundles! As I’m not terribly motivated to sew complicated projects, I was pretty excited to find so many resources online for refashioning clothes in simple and easy ways. I know you’ll be as excited to try them as I was! Which idea inspires you the most? Do you have any fun refashioning ideas of your own? Start by choosing just one project that really, truly inspires your creative side. You may be surprised to find how fun and easy refashioning can be! Don’t forget that I will be broadcasting LIVE each day on Periscope (usually between 10am and 11am EST). You can find and follow me there at @RuthSoukup. Be sure to also share your photos on Instagram for a chance to win daily prizes. (Get the contest details HERE.) Finally, be sure to check out our BLOG TOUR page, where you can find all sorts of additional ideas and inspiration from other bloggers who are taking the #31dayLWSZ challenge this month too! Ohh I love this post! I am always thinking about ways to repurpose everything in my life, clothes included!